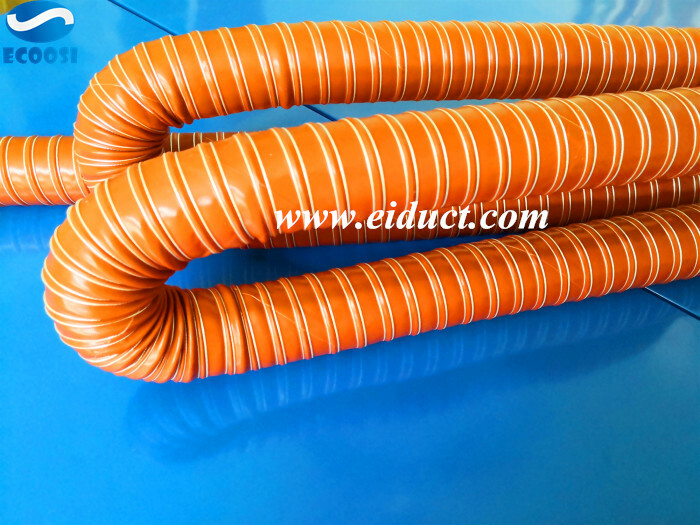 What is PU ducting hose? 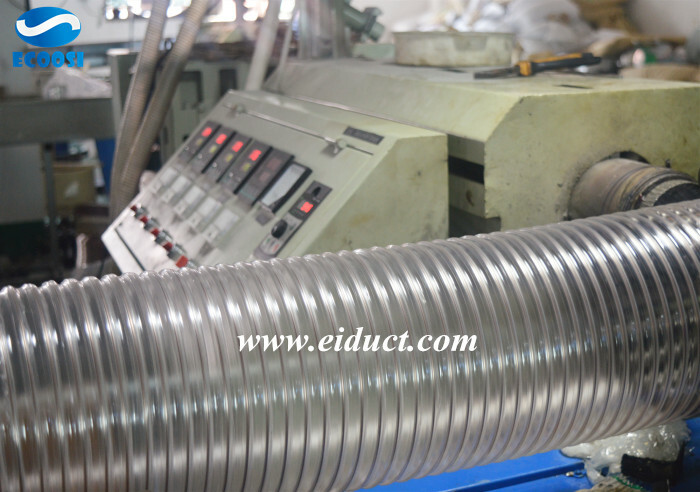 Ecoosi industrial polyurethane ducting hose has a nickname for PU Ducting hose. 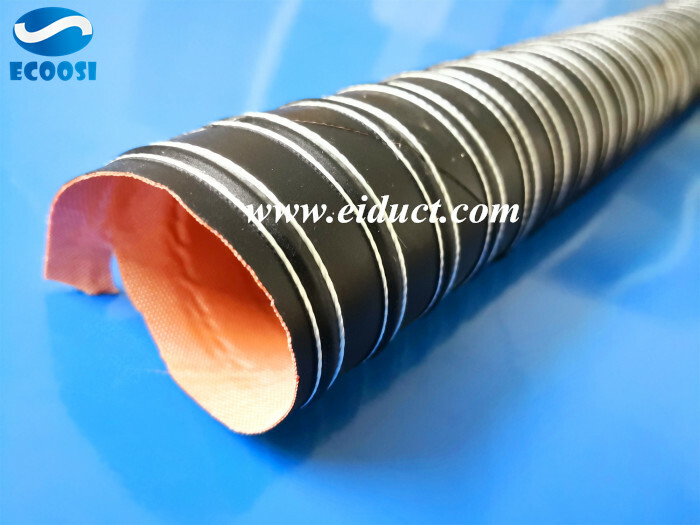 It is named as "PU copper coated steel wire hose" from material and structure, and it can also be called "PU vacuum hose, PU ventilation hose and PU air duct hose". 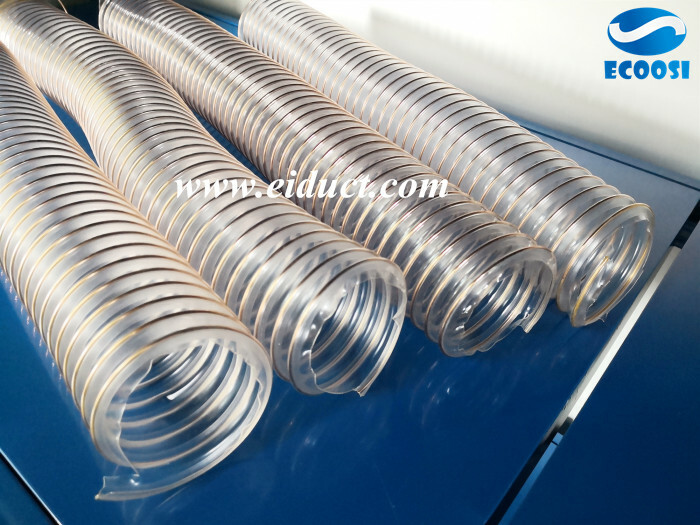 Ecoosis high temp silicone ventilation ducting hose is made of silicon coated glass fiber fabric with spring steel wire and reinforcement with glass fiber cord. 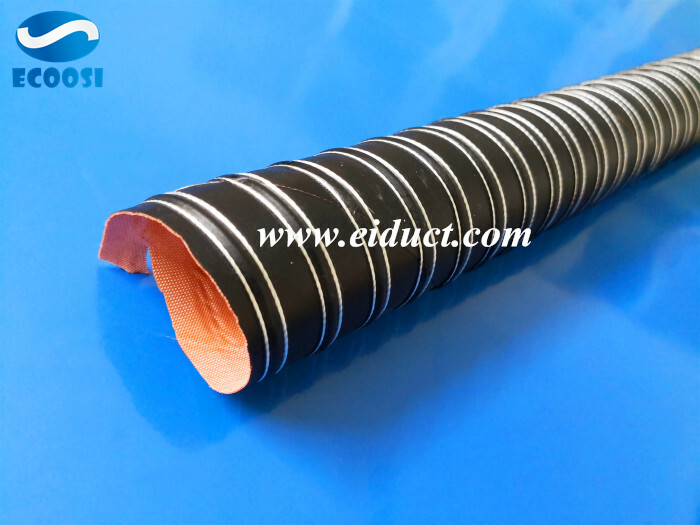 Ecoosis Thermoplastic rubber ducting hose has light weight, high flexibility and bending, with high temperature stability and good chemical resistance, excellent resistance to ozone. 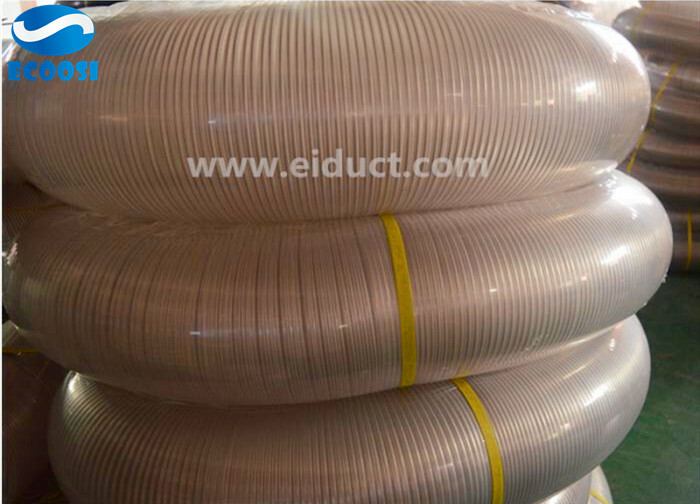 This ducting hose can cut off the noise generated during air delivery. 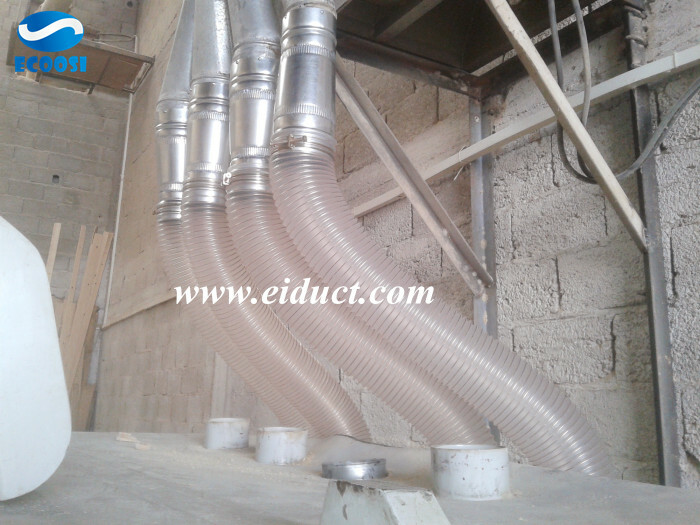 Woodworking workshop dust collect device(CNC Machine) using PU transparent steel wire ducting hose solution. 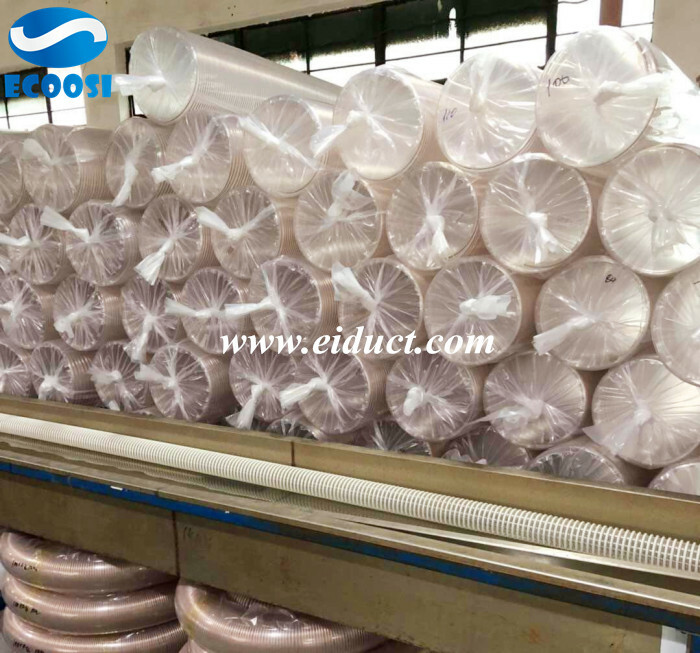 Silicone Coated Glass Fiber Duct, High Temperature Ventilation Hose, High Temperature Ventilation Duct, High Temperature Air Duct With Double Layer Silicone Coated Fiberglass Duct Encapsulated Spiral Steel Wire Support. 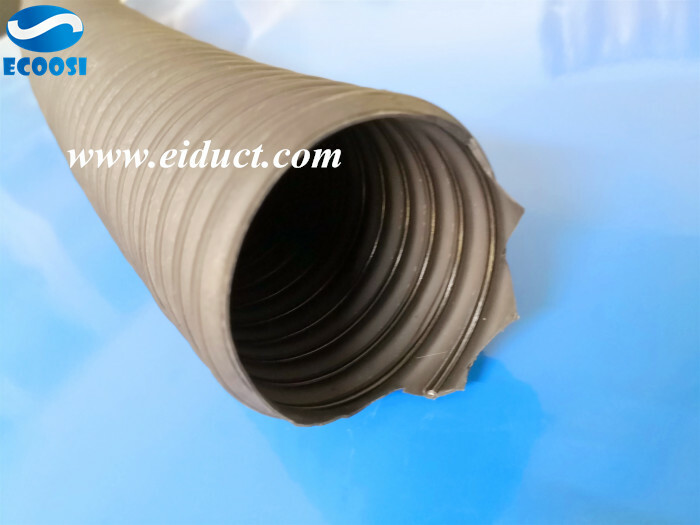 High temperature silicone ducting, high temperature silicone air duct is mainly used in a variety of mechanical ventilation, hot air and air conditioning guidance, smoke, moisture and dust, high temperature and humidity exhaust gas emissions. How to connect the PU flexible hose when its length is not enough? PU flexible hose, wear-resistant, lightweight, environmentally friendly high-quality steel wire hose, durable, is a multi purpose industrial wear-resistant duct hose, this structure so that the hose has a strong compressible wear performance. 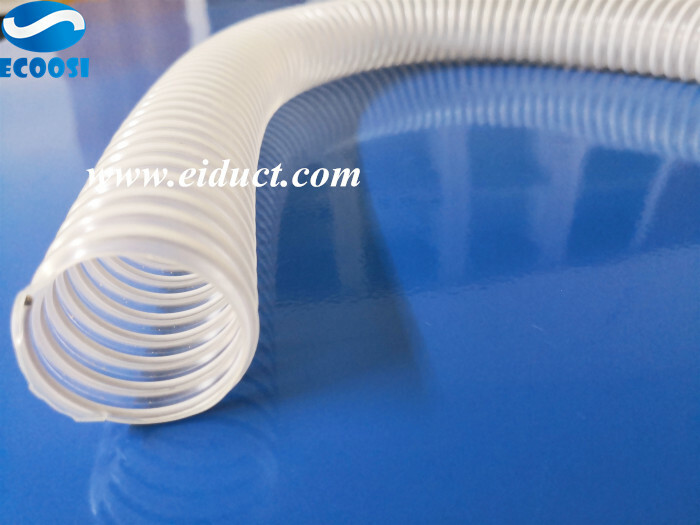 Ecoosi flexible silicone duct hose is a heat resistant duct hose with double layer coated glass fiber fabric.